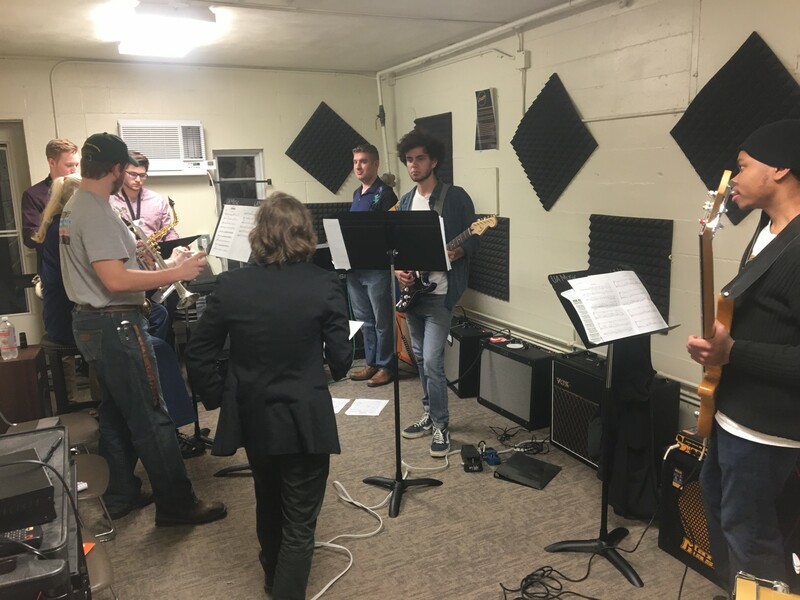 With an exploding interest in jazz studies and performance at the University of Arkansas, the Department of Music is excited to announce a new rehearsal lab on campus. The “Laundry Room” — named for the space’s previous use as a laundry facility — is a brand new performance lab where young, developing music students can learn, teach, and rehearse. With its location, the Laundry Room provides a perfect place for rehearsals that include electronic amplifiers for guitar, bass, and vocals. Top-notch equipment has been donated by fervent supporters of the Department of Music and the J. William Fulbright College of Arts and Sciences. Guitar and jazz courses are already being taught in the Laundry Room and the university’s musical theatre will also have access to the rehearsal space. Jake Hertzog, UAMusic’s professor of guitar, says that the long term goal is to have the best electronic and recording equipment within the surrounding states with the express purpose of student use. 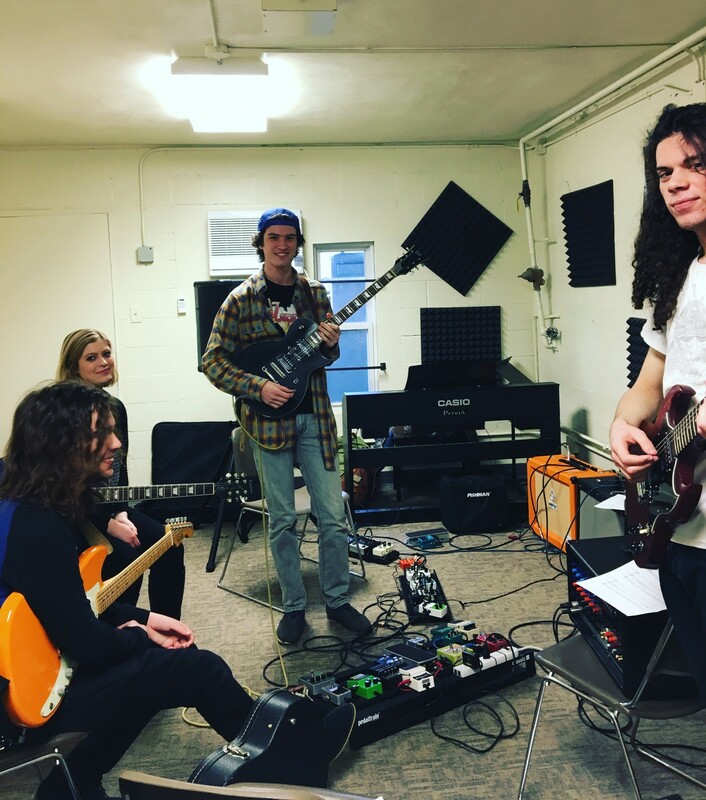 While the Laundry Room had humble beginnings as a literal laundry facility, this new rehearsal venue will aid in the training of numerous musicians in the coming years. 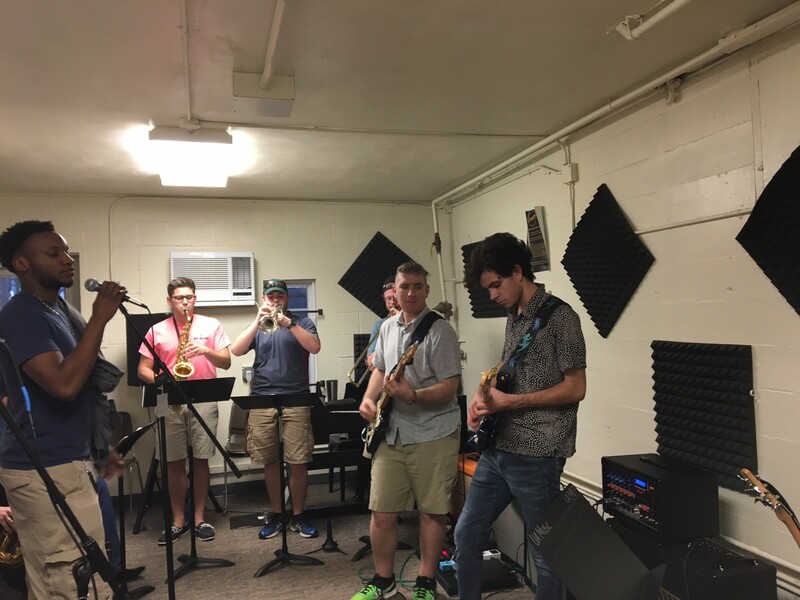 The department looks forward to continued success in the new interests in jazz studies with recent hires like Jake Hertzog and others, the jazz program is gaining strong support.